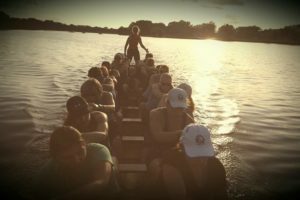 Want to see why dragon boating is so intoxicating among enthusiasts? Check out the below videos. For more go to our YouTube channel! And a HUGE shoutout to our team’s videographers, Paul Reichert and Dermot Anderson. Joann Fegley was interviewed by WBFF Fox 45 at the 2017 Baltimore Dragon Boat Challenge. For more videos like this, check out our Promotional playlist on YouTube! This video was from Club Crew World Championships in 2014. It demonstrates the power of consistent effort throughout the race, as well as the impact of keeping good timing. What the announcer says at the 2:15-minute mark is the highest compliment a coach can receive. This video is of our competitive (“Purple”) team at the Independence Dragon Boat Regatta here in Philadelphia, our home turf. This is a video of our Fit (“Gold”) team at the Tim Hortons Ottawa Dragon Boat Festival in in Ottawa, Ontario. 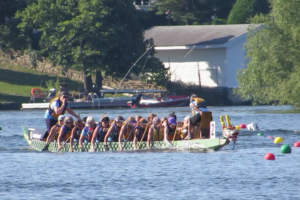 The video below is of our Gold and Purple teams battling it out at the Mercer Dragon Boat Festival in Mercer County, NJ. 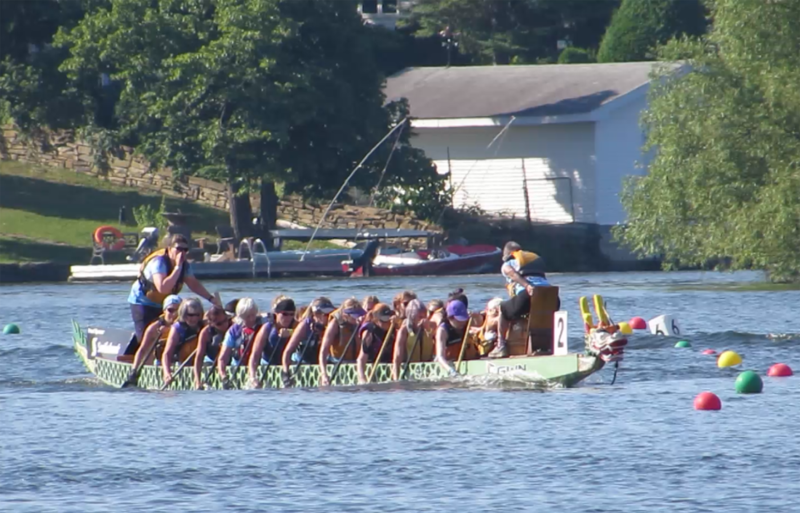 This video is of our Gold (a mix of our 2016 rookies and our veteran paddlers) and Grand Master (50+) teams at the Bucks County Dragon Boat Festival. For more videos like these, check out our Races playlist on YouTube.